For all of you seafood fanatics out there, Alderney is a small but absolutely stunning island offering freshly caught seafood from local waters. And if you’re not a fan of fish, there are still plenty of other delicious menus and local foods to choose from.  Search Alderney’s dog-friendly restaurants and cafés – Alderney guarantees you a scrumptious trip full of great food and fun times with your doggy! At just 7.7km square, we were pleasantly surprised to find out Alderney has four dog-friendly hotels. We hope you and your best pal thoroughly enjoy your stay in Alderney; don’t forget, if you would like to book a hotel, make sure you let your hotel know in advance that you plan on bringing Fido with you. 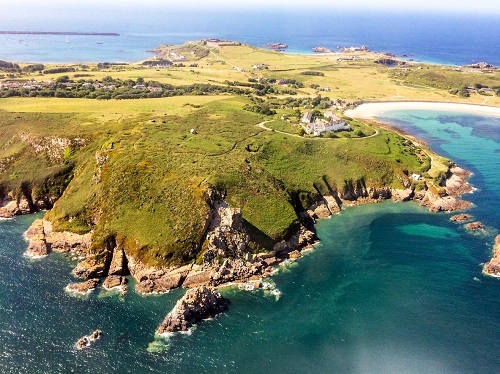 The most northerly of the Channel Islands, lying 13km off the Normandy coast, Alderney is small, friendly and laid back. Striking landscapes, spectacular coastal views, beautiful beaches and a rich wildlife make this island a paradise for both nature lovers and doggies alike! Alderney is easily accessible from Guernsey by airplane throughout the year and, from March to September, by a scheduled boat service. A round the year boat charter service is also available.